Build the future of communications. Build the future of communications. 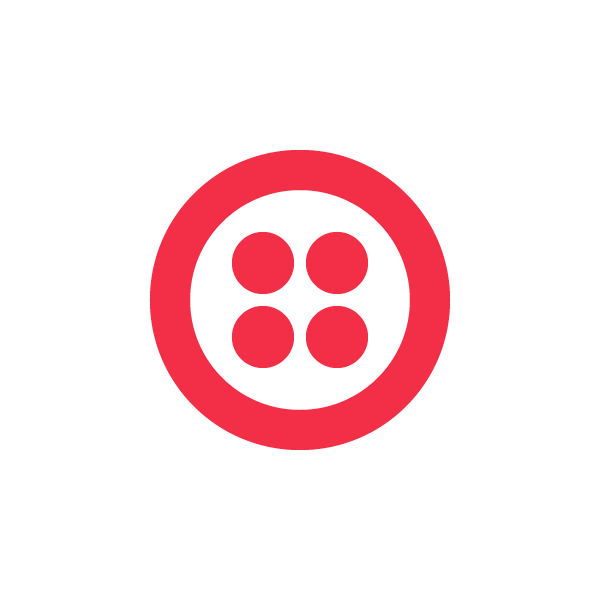 Start today with Twilio's APIs and services. Subscribe to the Developer Digest, a monthly dose of all things code. All set! Check your email. You may unsubscribe at any time using the unsubscribe link in the digest email. Sample applications that cover common use cases in a variety of languages. Download, test drive, and tweak them yourself. What’s it Like to be a Twilion? You may know what it’s like to use the Twilio API. You may even know a Twilio employee or three. But what’s it really like to BE a Twilion? For me, it’s been an intense couple of months. I relocated my family from Texas to California for this new role at Twilio, so this wasn’t a decision to make lightly. I had to believe in the company’s people and the company’s product. While I’m still learning about both, I continue to find them equally intriguing and downright impressive. In fact, it’s one of the most tightly knit groups of people I’ve ever seen. Last weekend we teamed up with the Syracuse Student Sandbox, a student accelerator program, for a weekend-long hackathon. The hacks and teams were of unprecedented caliber, including the team behind the app BeerText.Us. Doug Crescenzi, Ross Lazerowitz and Carter Yagemann built this app for brew lovers and in 72 hours they grew to thousands of users with national news headlines among other tech blog stardom. After hit with the initial traffic boom the team had to take community feedback and quickly iterate to scale. The following is the story of how BeerText.Us came to be, written by the team who built it. Getting ready to fire up your barby this 4th of July? Good, because we’d like to take this opportunity to tell you about what gets Twilio NYC fired up–mentoring the next generation of great hackers with the Mozilla Summer Code Party. A veteran of Internet advertising, Josh Reznick became intimately familiar with all manner of digital measurement when he founded his first online marketing company a decade ago. After selling that company, Reznick realized that in spite of all the innovation that had occurred with search and display advertising, there was still an enormous amount of friction in the process of transforming a person who clicked on an ad into a paying customer, especially when the product or service required some human interaction or a longer sales cycle. For more than a decade, national advertisers have approached the web as if location didn’t matter. They invested in a URL, built the best-looking and most useful websites they could, signed up for search advertising and mastered the art of search engine optimization. This approach worked for years. But then people began switching from PCs to mobile devices. Increasingly, they made mobile search and social networking part of their shopping habits. And they grew savvier about paid search. According to a recent study by comScore, 60 percent of local business searchers don’t believe paid results are trustworthy or believable. Election season is upon us! As we inch ever closer to the voting booth this November we’ve already begun to see a large number of civic-focused apps, to help inform, educate and empower citizens. Just a couple of days ago, at the Personal Democracy Forum in NYC, members of the Sunlight Foundation took the stage to announce two new, very exciting, Twilio powered apps to the public and I was lucky enough to have a front row seat for the unveiling. Belly, a Chicago-based startup that offers a unique customer-loyalty program, was doing well. In just eight months, it had signed up more than 200,000 users and expanded coast to coast, thanks to a quirky set of rewards and an engaging mobile app. The company had also attracted more than $12 million in venture backing from Lightbank, Silicon Valley Bank and Andreessen Horowitz. But the management team wasn’t satisfied. “We wanted to make the most of the traffic that was coming to the Belly website,” said Craig Ulliott, the chief technology officer. If a customer signed up for Belly’s program but didn’t install the mobile app, he or she would have a hard time finding Belly merchants and participating in the program. That represented a potentially lost opportunity in a highly competitive market. 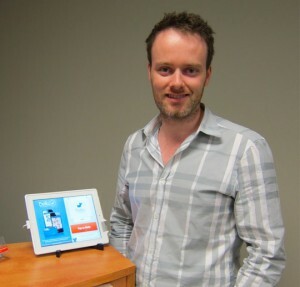 Matthew Brown, the founder of ThatsUs.com, became an early believer in cloud communications after helping hundreds of firms set up local telephone exchanges. The experience helped him appreciate the efficiencies that could be gained from accessing telephone networks through a web API rather than with physical hardware and on-premises software. 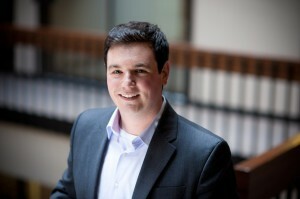 Jonathan Ozeran spent several years helping the Fortune 1000 and other organizations with the design and development of mobile app solutions before joining RECSOLU as vice president of product and mobile. Last September he spoke about Twilio and Enterprise Mobility at the inaugural TwilioCon, which you can watch now on Vimeo. Jonathan sat down with Twilio to talk about some of the challenges those companies face joining the mobile revolution, read the in-depth interview below. What was the thing that surprised you most about working with Fortune 1000 companies? Can a text message a day keep patients on-track with health programs? Three years ago Doug Naegele, president of Infield Health, decided to find out. Infield Health uses mobile technologies like SMS messaging and secure mobile web to help people adhere to programs with a certain health goal in mind. By delivering information straight to mobile phones, the company helps people better manage their health between visits to the doctor. The results, according to Infield, are better outcomes for patients and decreased costs for providers. The company’s emphasis on mobile solutions meant finding the right telecom partner was crucial for its success. Rather than hire a developer with expertise in esoteric protocols and complex technologies, Infield chose to leverage the power of cloud communications. Not ready yet? Talk to an expert.